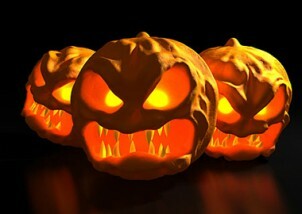 My latest essay for Religion Dispatches is now online, titled "Evangelicals, Halloween, and the Macabre." It can be read here. There is also another essay just posted this morning of interested, "Crying Witch: Learning From the O'Connell 'Dabbling' Debacle" by Spencer Drew. My friend Scott Eggert recently let me know about a new academic group through Google which focuses on Burning Man Festival research. After I joined the group I noticed in one of the posted messages that there was a recent article in the Los Angeles Times titled "Burning Man becomes a hot academic topic." The byline of the story by Catherine Saillant reads "A growing number of sociologists, business professors and theologians view the event's mix of hipsters, artisans, zany theme camps and outdoor art gallery as more than a party. They see fertile ground for research." Burning Man Festival is an intentional community and alternative cultural event involving nearly 40,000 people that meet annually in the desert of Nevada. Scholarly analysis of the festival tends to interpret it through Victor Turner’s framework of liminality and ritual. While this perspective sheds valuable light on understanding the event, other theoretical frameworks are helpful, including the “homeless mind” and secondary institutions thesis of Peter Berger, Brigitte Berger, and Hansfried Kellner used to explain the 1960s counterculture. This thesis has been updated by Paul Heelas and Linda Woodhead to include the turn to the self now involving life-enhancing secondary institutions. Hakim Bey’s Temporary Autonomous Zone also presents promising interpretive options for understanding this event. 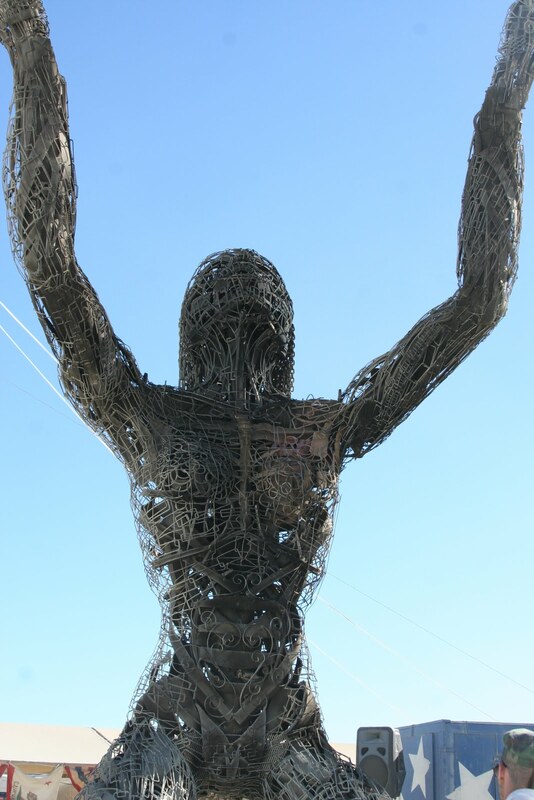 From these perspectives, Burning Man may be understood as an alternative cultural event that functions as a secondary institution and new spiritual outlet in rejection of mainstream institutions and traditional religion. The same dynamic can be seen in the historic contrast of Burning Man with other alternative cultures, such as the Rainbow Family of Living Light. Critical reflection on this phenomenon by Christians engaged in ecclesiological reflexivity provides a means for a better understanding of alternative cultural events, and possibly the revitalization and renewed credibility of Christianity in the post-Christendom West. There is a thought provoking essay in the recent Religion Dispatches by Andrea R. Jain titled "Is Downward Dog the Path to Hell?". The essay touches on the controversy in evangelical circles over the popularity of yoga in America and the West, evangelical opposition to the practice, and the formation of evangelical alternatives to it. This kind of critique is not new to evangelicalism, even if the national attention it is receiving is. But what is surprising in this essay is that fundamentalist Hindus are united with evangelicals in their concern, albeit for very different reasons. "But this attempt to produce a monolithic vision of yoga ignores the fact that it, like religion itself, is anything but a stable phenomenon. 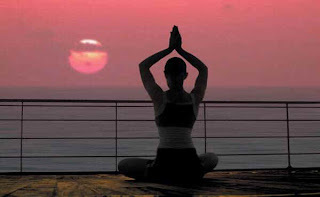 Yoga has a long history whereby adherents of numerous religions, including Hindu, Jain, and New Age traditions, have constructed and reconstructed it anew. Even Hindu forms of yoga vary widely in ideology and practice. Thus yoga does not belong to Hinduism nor any other monolithic tradition. "But evangelical Christians have an odd bedfellow in the argument for a monolithic vision of yoga as Hindu: some Hindus. They reflect the same ahistorical, religiously fundamentalist tendencies but with an entirely different agenda. The two agree that yoga is Hindu and that its global popularity is a bad thing. But rather than argue that yoga’s popularity is bad because it is incompatible with Christianity, they claim that non-Hindu yogis fail to give Hinduism credit for being the tradition from which yoga arose. The ideas included in the above paragraphs must be factored into evangelical analysis of yoga as a practice, both in terms of a proper understanding of it, as well as in assessing its (im)permissibility as a practice for Christians. "In this new phase of capitalism, the attainment of physical fitness transcends the mere exchange of capital for material goods. Physical fitness is sacred. Modern yoga fits right in with this socio-historical context. In other words, modern yoga is a reflection, not of “spooky” Hindu gods or “demonic” practices, but of our contemporary culture’s tendency to envelope physical fitness into the sacred routine of self-development." My hope is that evangelicals will not get bogged down by Jain's dismissal of concerns over "spooky" religious aspects of yoga, but will pause to consider that perhaps we have lost a sense of the body as sacred. Whether evangelicals accept the legitimacy of yoga as a practice compatible with Christianity, Jain's essay provides food for thought in a variety of other contexts. "Transcendent in America: Hindu-Inspired Meditation Movements as New Religion"
Drawing on the Baylor Religion Survey, a multi-year national random sample of American religious values, practices, and behaviors, as well as extensive fieldwork including joining hunts for Bigfoot and spending the night in a haunted house, authors Christopher Bader, F. Carson Mencken, and Joseph Baker shed light on what the various types of paranormal experiences, beliefs, and activities claimed by Americans are; whether holding an unconventional belief, such as believing in Bigfoot, means that one is unconventional in other attitudes and behaviors; who has such experiences and beliefs and how they differ from other Americans; and if we can expect major religions to emerge from the paranormal. "An essential text for our ongoing consideration of the esoteric realm... This work assembles in a very accessible and readable form all the sociological data currently available on the public's acceptance of experiences of unusual psychic experiences, our growing toleration of some extraordinary claims about the existence of UFOs, mysterious animal species, and ghostly apparitions, and our quiet dabbling in things occult. This volume has created a foundation for all future inquires." 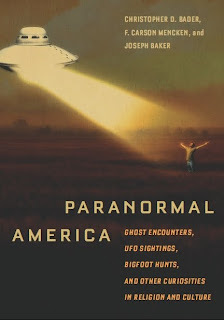 "Paranormal America is an authoritative but extremely readable analysis of an important but often ignored subculture. This fine book explains how many people seek personally-relevant meaning in a chaotic and often alienating world. In these pages we learn much not only about believers in ESP, Bigfoot, and astrology, but also about the general ways in which all human minds make sense of our perplexing position in the universe." This book can be purchased here.See the book's official website for further reviews and information. "The Druid Network has been given charitable status by the Charity Commission for England and Wales, the quango that decides what counts as a genuine faith as well as regulating fundraising bodies. Supporters say the Charity Commission’s move could also pave the way for other minority faiths to gain charitable status." In connection with this event I am pleased to recommend the new ebook by Michael Cooper, Contemporary Druidry: A Historical and Ethnographic Study (Sacred Tribes Press, 2010). Dr. Michael York, professor (retired) of sociology of religion at Bath Spa University College and author of Pagan Theology: Paganism as a World Religion (New York University Press, 2003). "Michael T. Cooper’s Contemporary Druidry: A Historical and Ethnographic Study is a profoundly sensitive account of a pagan identity from an Evangelical Christian researcher. The work amounts to an interfaith breakthrough. Not only a sympathetic and enlightening understanding of Druidry itself, but Cooper also manages to open the possibilities of intellectual and empathetic exchange between a pagan position and a Christian one. Comfortably grounded with a balance of sociological tools and understandings, Cooper’s remarkably human and informative narrative holds appeal to the insider as well as outsider, to the generally curious as well as those with specific interest. . . . In all, this intelligently and well-written study of the Celtic Druid faith is one to be highly recommended." The book can be purchased and downloaded in a variety of formats here. For the first time on television, God in America, a presentation of AMERICAN EXPERIENCE and FRONTLINE, will explore the historical role of religion in the public life of the United States. The six-hour series, which interweaves documentary footage, historical dramatization and interviews with religious historians, will air over three consecutive nights on PBS beginning Oct. 11, 2010. God in America examines the potent and complex interaction between religion and democracy, the origins of the American concept of religious liberty, and the controversial evolution of that ideal in the nation's courts and political arena. The series considers the role religious ideas and institutions have played in social reform movements from abolition to civil rights, examining the impact of religious faith on conflicts from the American Revolution to the Cold War, and how guarantees of religious freedom created a competitive American religious marketplace. It also explores the intersection of political struggle and spiritual experience in the lives of key American historical figures including Franciscan Friars and the Pueblo leader Po'pay, Puritan leader John Winthrop and dissident Anne Hutchinson, Catholic Bishop John Hughes, abolitionist Frederick Douglass, Presidents Thomas Jefferson and Abraham Lincoln, reform Rabbi Isaac Meyer Wise, Scopes trial combatants William Jennings Bryan and Clarence Darrow, evangelist Billy Graham, civil rights leader Martin Luther King, Jr., and the Moral Majority's Jerry Falwell. To extend the reach of the series beyond the television screen, God in America has formed strategic partnerships with The Pew Research Center's Forum on Religion & Public Life, The Freedom Forum First Amendment Center, the Fetzer Institute, Sacred Space International and other organizations. An integrated multimedia campaign set to launch six months prior to broadcast will include community engagement activities, media events and a comprehensive God in America Web site. The campaign will deepen public understanding of religion and spiritual experience in the life of the nation by encouraging the public to explore the history of their own religious communities and their individual spiritual journeys. God in America is an AMERICAN EXPERIENCE/FRONTLINE co-production, headed by series executive producer Michael Sullivan, series producer Marilyn Mellowes, series director David Belton, and producer/directors Greg Barker and Sarah Colt. The executive producer for FRONTLINE is David Fanning. The executive producer for AMERICAN EXPERIENCE is Mark Samels. Media and Law Enforcement "Drinking the Kool-Aid?" 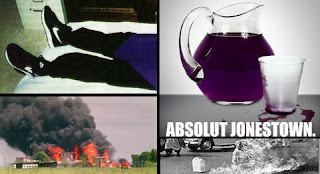 Julie Ingersoll of the University of North Florida has an interesting article in Religion Dispatches titled "Did We Drink the Kool-Aid in 'Suicide Cult' Disappearance?". The article looks at the way the media responded recently to the California Prayer Group which "disappeared" for a short period while the media and law enforcement feared the group would commit mass suicide. 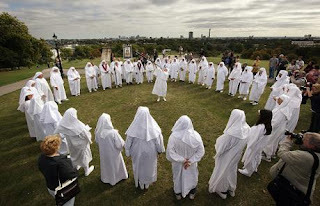 Ingersoll draws attention to the "suicide cult" template that the media and law enforcement are quick to view minority religions through and notes its connection to the anti-cult movement. Although Ingersoll's essay is missing the important distinction between the secular anti-cult movement which focuses on "deed not creed" and the evangelical "counter-cult" movement which focuses on doctrine, nevertheless it does point out the importance of understanding the framework from which new religions view the world, a framework that rarely conforms to the suicide cult template.